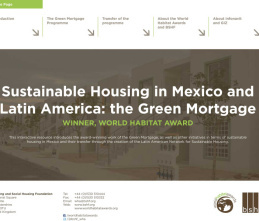 This interactive resource introduces the award-winning work of the Green Mortgage Programme, as well as other initiatives in terms of sustainable housing in Mexico and their transfer through the creation of the Latin American Network for Sustainable Housing. The 2012 World Habitat Award for innovative, sustainable and scalable housing solutions was presented to the Institute for the National Workers’ Housing Fund (Infonavit) for its Green Mortgage Programme at the UN-Habitat World Urban Forum in Naples, Italy in September 2012. The Green Mortgage Programme was created in 2007 with the aim of improving the quality of life of Mexican workers, by reducing household spending on utility bills whilst at the same time contributing to the efficient use of natural resources and the reduction of Green-House Gas Emissions. The programme is showcased in this report, which is available free to download. 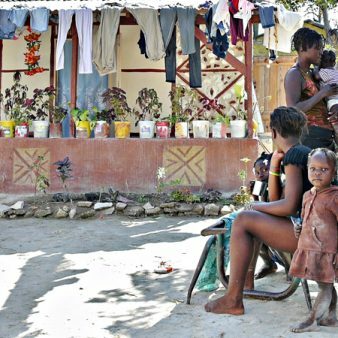 It also includes information about its transfer, as well as a presentation of the key lessons learned from this programme and links to a range of additional resources.